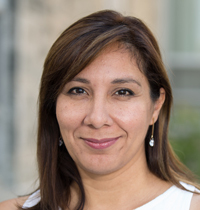 Dr. Argenis Rodas-González is currently an Assistant Professor at the University of Manitoba. He has been working in interdisciplinary research groups in meat science and food safety in Venezuela, the USA, and in Canada. He has evaluated the meat composition and quality of domesticated (beef and pork) and exotic species (water buffalo and bison). His recent work focused on meat colour stability and the application of different packaging systems (i.e., nitrite film packaging) to improve colour stability in bison and beef. 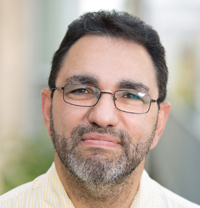 Mario is a Professor of Applied Soil Ecology at the University of Manitoba. His training includes a B.Sc. in Botany and Physical Geography, a M.Sc. in Soil Science, a Ph.D. in Plant Sciences, and Post-Doctoral research in Nematology. Mario leads The Soil Ecology Laboratory at the University of Manitoba. From 2006 to 2016 he served as the Canada Research Chair in Applied Soil Ecology. The laboratory tackles applied questions to give farmers and industry solutions to increase profitability while improving soil and environmental health. Together with many colleagues, his team has addressed many soil related issues, including; improving nitrogen use efficiency of crops, mitigation of greenhouse gas emissions, documenting the benefits of 4R nutrient management practices, development of rapid molecular tests and field surveys of emerging soilborne diseases and nematode pests of crops, and comparison of sustainability of production systems on the Canadian Prairies. Desmond Essien has been pursuing his PhD at the Department of Biosystems Engineering at the University of Manitoba since September 2014. His research interests lie in air quality assessments, swine production, design and numerical modelling of biological systems. Currently, he is investigating the effectiveness of air ionization as a technology for removing bioaerosols in animal barns and other enclosed spaces. 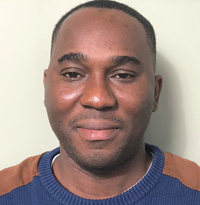 During his MSc Desmond developed a model to predict the effects of non-uniform airflow on the temperature and moisture content of grains when stored in silos. Recent studies investigated the potential of using biofilters as an odor mitigation technology for use in swine barns in Manitoba. In his spare time he loves to play soccer. 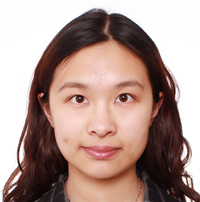 Xiaojie Yan is a PhD student in Department of Biosystems Engineering at the University of Manitoba. Her doctoral research area investigates animal environment, floor design of pig barn and biomechanical gait analysis of pigs. She participated in the” Optimizing Flooring and Social Management of Group Housed Gestating Sows” project from Swine Innovation Porc. Her job was to determine the most effective slat and gap widths of flooring for group sow housing. During her PhD study, she is also building a 2D multi-segment model to simulate normal walking of pigs. Prior to arriving at U of M, Xiaojie earned her bachelor and master’s degree in food science and engineering at Nanjing University of Finance and Economics with a focus on grain storage. She moved from China to Canada in 2015 to achieve a PhD degree. Dr. Narvaez has a degree in Veterinary Medicine, a Master of Science in Microbiology and a PhD in Animal Sciences (From Texas Tech University). She is an Assistant Professor at the University of Manitoba, Food and Human Nutritional Sciences Department. She has more than 10 years of experience working on research within the area of microbiology and food safety. During her career, she has been working with food microbiology, specifically food quality, food-borne and zoonotic pathogens prevalence at the pre and post-harvest levels, antimicrobial resistance in livestock animals (poultry, swine and beef cattle) and microbial interventions to control foodborne pathogens in the food chain. She has experience training industry in food-safety topics, including pre and HACCP, GMP and Good Agricultural Practices. Dr. Narvaez current research focuses on the development of suitable pre-harvest and post-harvest interventions to reduce the presence of pathogenic organisms in livestock, meat products and fresh produce. She is focusing on Listeria monocytogenes, Salmonella, Shiga-toxigenic E. coli and Campylobacter. 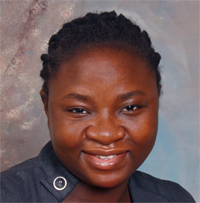 Faith Omonijo is a MSc student in the Department of Animal Science, University of Manitoba where she is specializing in monogastric nutrition (Swine and poultry). Miss Omonijo was born in a small town of Osun State located in the western part of Nigeria. She completed her bachelor’s degree in animal science (B. Agric.) at Osun State University in 2014, after which she completed a one-year mandatory program for graduates in Nigeria known as the National Youth Service Corps (NYSC). During that period, she served as the leader of young farmer’s club. She began her MSc in 2017 under the supervision of Dr. Chengbo Yang. She is particularly interested in using nutrition to improve animal health, performance and production. 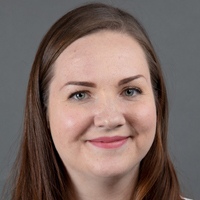 Her research focuses on developing alternatives to antibiotic growth promoters (AGPs) as a solution to public concerns about bacteria resistance to AGPs, looking speciically at the use of microencapsulation for delivery of essential oils to improve gut health in pigs. She is a member of several professional societies, including Canadian Society of Animal Science and American Society of Animal Science and has authored or coauthored 3 publications. Her hobbies are singing and playing of violin. 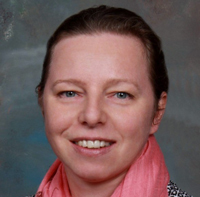 Dr. Anna Rogiewicz is an Adjunct Professor and Professional Associate in the Department of Animal Science at the University of Manitoba, Winnipeg. She earned her M.Sc. and Ph.D. in Animal Science from University of Warmia and Mazury, Olsztyn, Poland. Since 2006 she is associated with Dr. Bogdan Slominski at the UofM, where she gained an expertise in poultry nutrition, nutritional biochemistry and enzyme technology. 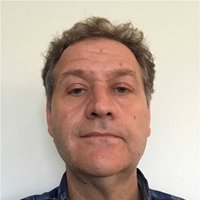 Dr. Rogiewicz is involved in research related to the evaluation of the chemical and nutritive characteristics of various feed ingredients (i.e. low-fibre, yellow-seeded canola, DDGS), yeast-derived products and nucleotides as prebiotics, and to the development of new generation of exogenous enzymes for animal feeds. 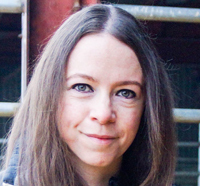 Emma McGeough, Assistant Professor, Sustainable Grasslands/Livestock Production Systems, Department of Animal Science, University of Manitoba. Graduated from Animal Science from University College Dublin and was followed by a PhD in forage finishing of beef cattle and enteric methane mitigation from the same institution. Joined Agriculture and Agri-Food Canada, Lethbridge Research and Development Centre in 2010 as a NSERC Visiting Fellow where she worked in ruminant nutrition (forage feeding) and greenhouse gas research. Joined the UofM in 2013 where she currently engages in collaborative research in the areas of forage evaluation and utilization, pasture overwintering of beef cattle, ruminant nutrition, greenhouse gas mitigation and carbon footprinting of beef and dairy. Kristen Matwychuk is the Discovery Centre Coordinator for the Bruce D. Campbell Farm and Food Discovery Centre (FFDC) at the Faculty of Agricultural and Food Sciences’ Glenlea Research Station. She organizes and facilitates curriculum-based programming and tours of FFDC for school groups, general public, agriculture and food industry, and government to help share the journey of food from farm to fork. She also instructs the Food Handlers certificate course for FoodSafe Manitoba. Kristen is a certified presenter and trainer on “The Real Dirt on Farming”. With a degree in Food Sciences and a family history of farming, Kristen is passionate about spreading the great news about Canadian agriculture, food safety, nutrition and food processing with everyone she encounters.